When working in Photoshop, it’s nice to be able to customize the interface to fit your needs. Depending on your project, it may help to change the color of Photoshop’s matte area (the area around the canvas) to better visualize a project. Or, maybe you prefer working with a color other than dark gray. Whatever the reason, below is a quick tip that demonstrates how to change the color of the matte. 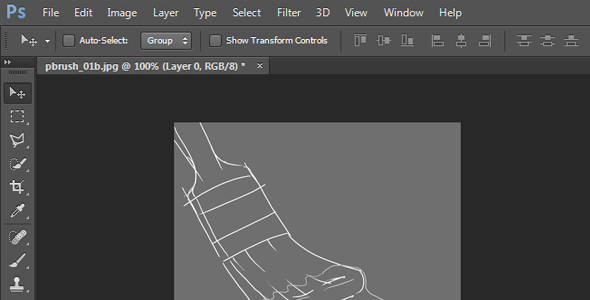 To change the color of the background matte, it helps to first open a file. In this case, I have a project file already loaded to my canvas. This entry was posted in Quick Tips and tagged Keyboard Shortcuts, Photoshop, psdtip, tips, Tutorials, Video. Bookmark the permalink.